With over 1.65 billion users to steal information from, Facebook is one of the biggest target of hackers. Hackers are trying to hack into users accounts to steal personal information, spam ads & offers or simply to spy on someone important. 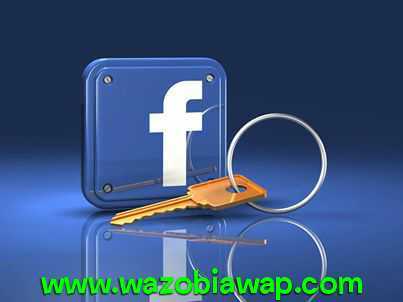 So to secure your Facebook account is not hard just read along find out how. Don’t believe me? Just try searching for “Hack Facebook Account” on Google and you will see dozens of websites offering Facebook account hacking service. Whether these services are legit or not is another story but the truth is, there are dozens of ways to hack a Facebook account and a professional hacker can easily hack an average user’s account who has less knowledge about account security. Adding a phone number is one of the best ways to secure your account. It will let you easily recover your account even if your email is hacked and also let you use Facebook’s 2-step verification. To add a phone number, go to Facebook Settings and head to “Mobile” settings from the left menu and click on “Add a Phone”. Now, just follow the instructions to add and confirm your phone number. Settings again and click on “Security”. Here, click on “Edit” next to “Login Approvals” option and check the checkbox next to “Require a security code". READ ALSO: How to Merge Facebook Profile Picture And Cover Photo Together. Then, click on “Get Started” on the prompt and confirm your phone number to add this security. Whenever you or someone else tries to access your account from a different device, they will have to provide the code sent to your phone to gain access. Here are a few ways hackers can hack your account, check them out to make sure you take the right measures. Phishing Sites: Hackers can create a fake Facebook login page and when you enter your details there, it will be sent to the hacker instead of Facebook. Phishing attempts are usually made through emails and other modes of communication. If an untrusted person gives you a link to access Facebook through it, don’t do it. Your browser may also give a warning to not enter. Keyloggers: Keyloggers are software that can log the keystrokes you make on your keyboard, therefore stealing your username, password and other sensitive info when you type it. Usually they are installed with shady programs, but hackers can remotely install it as well, if they get access to your PC. Thus, use a good antivirus program to identify and stop keyloggers and try to use password managers like Lastpass to automatically enter passwords instead of typing them with your keyboard. Never Give up your Password: Many scams may ask for your Facebook login details in order to give you gifts, game coins and other incentives. Never give up your information even if a so-called Facebook employee asks for it. Change Password: change your password anytime you think or experience a suspicious activities or log on your Facebook account. I recommend changing your password twice in a month. Depending on how often you use your Facebook Account. Avoid writing Down your password: Never write your Facebook password or login details on a notebook or a text file on your phone. If you have to do so, keep the notebook away from people or friends. For the text file make sure it is hidden on your device when you want to use it then unhide.